Unlike the others, BMW skipped the 2019 Detroit Auto Show this week to unveil their wares; and didn’t debut anything at CES 2019, either. Perhaps they chose to ditch out on the hype and holler. Or maybe the Munich-based automaker just dropped the ball somewhere along the way and didn’t have their stuff together. We don’t know. Nevertheless, the luxury brand’s newest variant of their full-size sedan broke cover and it exudes all the brash and elegance you’d expect from the flagship product. Since arriving just over 40-years ago, the 7 Series continues to go strong – arguably one of the best overall full-sizers on the market, now entering its 6th-generation. Under the hood, the 2020 7 Series gets a choice of 6-cylinder, 8-cylinder, and 12-cylinder turbocharged engines, along with a new plugin-hybrid model, all available when it arrives this spring. Special attention was paid to the xDrive intelligent all-wheel-drive system and standard 8-speed Sport Steptronic transmission, both receiving significant updates. Design-wise, the big changes happen up front where everything is 2-inches taller to accommodate the bigger kidney grille possibly taken from their full-size X7, from the looks of it. Fans of the 7 Series may be on the fence on the new styling, with those skinny headlights and LED inserts. Inside, expect soft-close doors, a Harman-Kardon stereo system, Wi-Fi hotspot, wireless charging, a panoramic sunroof, and Apple CarPlay all as standards. For some reason, Android Auto won’t be available with the 2020 model release. 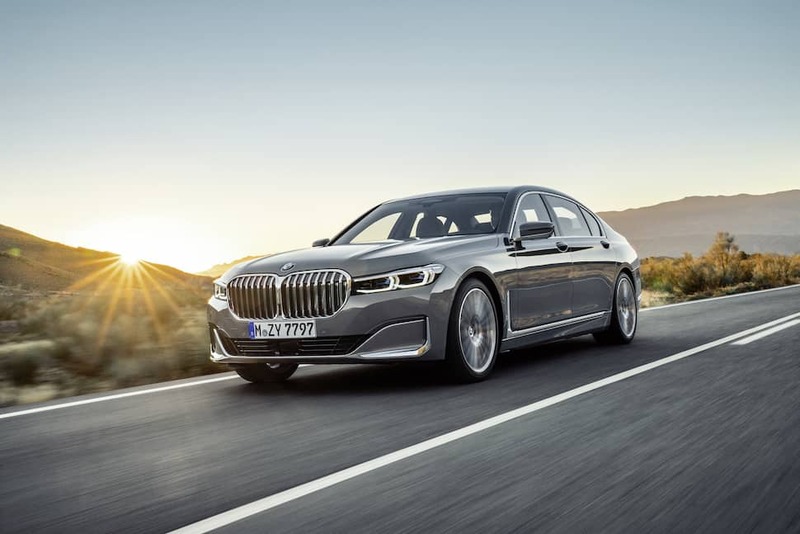 Available in 740i, 740i xDrive and 745e xDrive trims, expect North American dealerships to receive the new BMW 7 Series sometime this Spring 2019. Pricing will be officially announced closer to the sale date, so stay tuned.